The term, "licensing" refers to all regulatory agencies. It is VERY important to know the regulations in your state, and to establish an open, professional relationship with your representative. Anyone can file a complaint with licensing. The complaint can be anonymous but most often comes from a parent who thinks they have a legitimate complaint, perhaps their child was injured, or who is in conflict with the provider. The issue may be owed tuition, late fees, a dispute between divorcing parents; the list is endless. These same parents can also file a claim for damages ($$) and/or a lawsuit which is a more formal claim for damages ($$). Licensing is required to investigate all complaints and their findings are often based on interviews with small children, who are difficult to interview and can be influenced to say anything; the child's goal is to please the adult. The same is true of investiga-tors involved in a claim/lawsuit. You must be able to present your side and provide supporting documentation. Prospective parents should sign the contract to show they have read and agreed to your conditions regarding rates, services provided, on time pickup, late fees, scheduled days you will be closed, termination conditions and your policy on sick children, among other things. Be consistent when enforcing the contract. Giving one parent leeway, and not others, could be considered discrimination. Don't agree to parental requests if they are against your judgment or regulations. If it's not their first time in childcare, ask why they left the other facility. If you can, call a reference. If during your interview with new parents your "gut "says pass, do so. When reporting claims Providers often say that they felt something was wrong during their initial interview, but accepted the child anyway. It should contain everything required by licensing. You can be cited for incomplete paperwork. all the paper-work is complete. Parents may ask you take the child now, and promise you the paperwork later. Don't do it! If you bend the rules you would be in trouble with licensing and could be endangering the child. For example: a parent left an 8 month old baby with a Pro-vider to see how hedid in the facility. The baby had a seizure caused by allergies. Because the Provider acted quickly, the baby recovered at the hospital. The parent hadn't told the Provider about the allergies. Completed paperwork would have avoided the situation. The parent reported the Provider to licensing and the Provider was cited for gross negligence. Do not do favors for parents that could endanger a child and cost you your license. show patterns of drop off and pick-up times and verify the dates a child was in care. Look at the children when they arrive. If a child is dropped off with a visible injury, discuss it with the parent and put a written comment in the child's file, initialed by the parent, to document the time, date and details of the discussion. If something is noticed after the parent leaves, call to get details, and then document the file. Have the parent initial it when they pick up the child. If the parent is defensive and/or refuses to sign you have to decide if you want to have the child remain in care. Give your licensing representative a call to alert them that they may be getting a call from this parent. DCI, Administrator of NCPI'S insurance program, advises that approximately 33% of reported claims are allegations of abuse and the parent might point a finger at you. You must have docu-mentation that the injury did not occur in your facility. Keep a copy in the facility and take a copy with you on field trips. Claims involving a child being left or lost on a field trip are not uncommon. In one instance, a Provider returned with the right number of children, but one was a stranger. A parent was helping with the transportation and didn't know all of the children by sight. This Provider now puts matching t-shirts on all the kids for field trips. NO ONE should be allowed to pick up a child without prior written authorization in the child's folder, not even a family member or close friend. If authorization is on file but you don't know the person, check the ID. If the parent calls for an exception, just explain that it's against regulations. If the parents are involved in a cus-tody dispute, be sure you have all of the court docu-ments and obey the instructions on those forms. If you have a dispute with a parent, discuss the situation and make notes of your conversation and have the parent initial them. If the problem continues, give a second warning; if it still continues, terminate according to the terms of your con-tract. You may feel sorry for the parents' problems or have a special feeling for the child but you could be putting your license in jeopardy (see #12). It's often the parents you try to do the most for that file a complaint when the favors stop. Let your licensing representative know that there is a chance that a parent may call. such as car seats, can cause problems. Know the rules and regulations. If in doubt, ASK for an explanation, in writing, from licensing to confirm what you were told. It is not unusual for Providers to be told different things by different licensing representatives. at all times (see #16). Don't leave them playing in a fenced yard "just for a minute" or sleeping in a room with a closed door. Parents and Licensing will blame you for "Negligent Supervision" if a child is hurt. Example: A Provider took a child inside to change a diaper leaving the others in the yard. She was gone just long enough for two children to stack toys high enough to climb up, open the fence, and leave the yard. while in care, get proper care immediately and notify the child's Parents. Document the details, including what, and how the injury happened. Get statements from any witnesses. Keep the report in file. Discuss it with the Parents. Report to Licensing in accordance with your State regulations. Failure to report when required is considered a serious violation. for "over capacity". Have a plan of action if this occurs. Licensing is very strict on over capacity; they don't care if traffic was bad. One licens-ing representative stated in a workshop "a Provider must refuse children that create an over capacity". Providers have been cited and fined. Some licensing agencies con-sider it serious enough to revoke a license. Be sure that you understand who is required to be finger-printed and have it done. Do not assume that a person who was fingerprinted at another facility does not need to be fingerprinted at yours. Do not permit any adults, including volunteering parents and family members, to have access to your facility during day care hours without checking with licensing. This is another area where licensing is very strict. You must maintain a file with the fingerprint records of everyone who is required to be fingerprinted. to improve your services and to provide a written record of parents input regarding your operations. (1) Are you satisfied with the care your child is receiving? (3) Do you feel your child is happy and feels safe? (4) Do you have any suggestions that might enhance the child's experience? Have the Parents complete these every 3 or 4 months. Explain that you value their input. They are also valuable for you if a parent makes a complaint to licensing sometime in the future. Knowing about the report cards often stops com-plaints, or helps to prove your case if a claim/law suit is filed. Everyone needs private areas. Keep them inaccessible to children. It may be inconvenient, but door locks guaran-tee no entry. Use a collapsible fence to block staircases. Place outside gate latches near the top of the gate to make it harder for children to reach. "Tingling bells" on doors/gates are an extra precaution. Regulations equire all hazardous items be inaccessible to the children; including guns which have their own set of specialized rules. Check with licensing. don't visit often. If they show up at your door, it's probably because someone filed a complaint. They may ask you to do something during the visit which is against regulations, such as going into a separate room to talk which leaves the children unsupervised or an incorrect provider to child ration. Don't do it. We have talked to providers who have been cited after complying with these requests. Just explain that you can't do something that you know is against regulations. Be sure you are left a written summary of the visit. Attorneys representing Providers at administrative hear-ings recommend that you do not sign anything in blank. Insist on seeing what you are signing and draw a line in any blank areas. If you are cited, without the specific violation being identified, write "I don't know what the violation is" and then sign it. Be sure that you understand your appeal rights, including the time limits to file. Affidavits or hold harmless agreements are worthless. Consider protecting yourself with Child Care Liability and Accident Medical Insurance. Providers at work shops and conferences have said "Nothing could ever happen in my facility!" or "My clients would never sue me. ", but it happens daily. If you are sued, you have to hire an attorney and possibly pay a judgment, which would come out of your pocket if you don't have insurance. Over the past 10 years, one report shows that for every 25 childcare facilities, 1 child is injured, or an allegation of negligent supervision is made. Liability insurance will provide lawyers, pay your legal expenses and pay your loss up to the policy limits for cov-ered claims. Your policy should include Professional Liability with coverage for "Negligent Supervision" and Child Abuse. Liability issues often take a long time to decide, if a child is injured, they need medical treatment NOW so an accident medical policy is also recommended. The right accident medical policy doesn't assign blame; it just pays the covered medical bills for an injured child in your care. If the medical bills are paid quickly, it can prevent a law suit. 20) Where do I buy insurance? 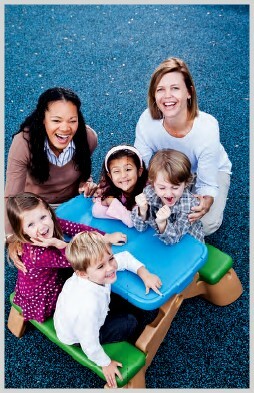 Several insurance companies offer insurance for Child Care Providers. Unfortunately they don't all provide the same coverage. For example, coverage under a Home-owners or Renters Policy is extremely limited and does not include any child abuse coverage. It is a deductible business expense. There have been mil-lion dollar claims. Even if you're not at fault one report shows 40 years of premiums would not pay the legal expense for an average claim. What you need to know about the insurance you buy. 1. Is coverage the same for the provider, employees, volunteers, and all residents of the household? 2. Are all claims expenses and legal fees in addition to the policy limits? 3. Is there a separate limit for abuse coverage? If so, what is the limit? 4. Is an attorney provided to represent you at an Adminis-trative Hearing? If so, is there a limit? 5. Are animals, dispensing medication, food preparation, field trips, infants, libel, slander, operating after normal hours, play equipment, and swimming pools on or off the premises covered? 6. Is coverage available for transporting children? 7. Is non-owned auto coverage (which protects you if some-one uses their car for your business) available? 8. What is the limit per child for Accident Medical Insur-ance? Is there a deductible (the amount the Provider must pay)? 9. Does the Accident Medical Insurance include coverage for children injured on field trips, or in an automobile? There are local and statewide family Child Care Associations which represent Providers in legislative matters, local regulatory requirements, and provide education and training. They also offer a terrific support group and are available to answer many questions dealing with your operations. For a local association in your area call (800) 624-0912 or go to www.dcins.com. This information is made available as a public service by National Care Providers Insurance Inc., A Mutual Benefit Non-Profit Corp. acting as a Group Purchase Plan Under the 1987 Federal Risk Retention Act. It is intended to provide general information on the topics covered only. It is not intended to provide, nor is it the equivalent of legal or professional advice. As with any publication, it is necessary to check current laws or regulations to determine the accuracy of the information. © 2012 National Care Providers Insurance Inc.